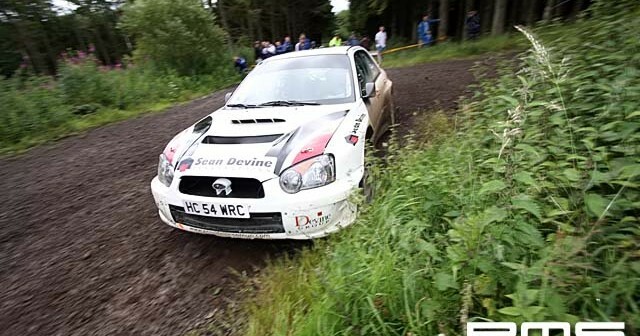 Sean Devine makes a winning comeback at Limavady’s Dogleap Rally! "We had a small engine fire at the end of stage six" McKinstry explained. "It turned out that a small turbo pipe had burst so it was really difficult to change with the heat. As a result, we were three minutes late at the start of stage seven, which gave us a 30 second penalty. It’s a shame as the race was on!" Round seven of the Hankook MSA N.I. Stage Rally Championship takes competitors to County Fermanagh on 12 September. The Fisher Engineering Lakeland Stages Rally will see the battle for championship spoils reignite between the championship contenders, and more information can be found online at Hankook MSA Northern Ireland Stage Rally Championship 2009.